To Dog With Love: After the Party: Everyone's a Winner at #FueltheLove! After the Party: Everyone's a Winner at #FueltheLove! 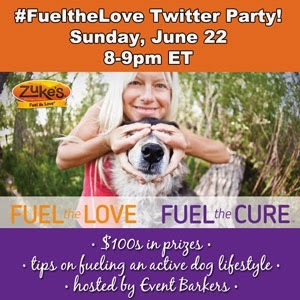 Our head's still spinning from all the fun and adorable photos shared at the Zuke's #FueltheLove Twitter party last night! The Tweets were flying, 10 lucky winners were announced, and the best thing is that it was all for a great cause. Zuke's, the makers of natural, USA-made treats, helped found The Dog and Cat Cancer Fund, and last night's party helped support this fund that helps pet parents pay for their pet's cancer treatments. Along with DogTipper and All Things Dog Blog, we co-hosted this Event Barkers party where, with your help, we all helped Zuke's get closer to their goal of raising $10,000 for The Dog and Cat Cancer Fund simply by sharing photos of our dogs loving life! For every dog photo uploaded and tagged with #FueltheLove and @ZukesPets, a $5 donation was made by Zuke's to The Dog and Cat Cancer Fund… making everyone a winner! 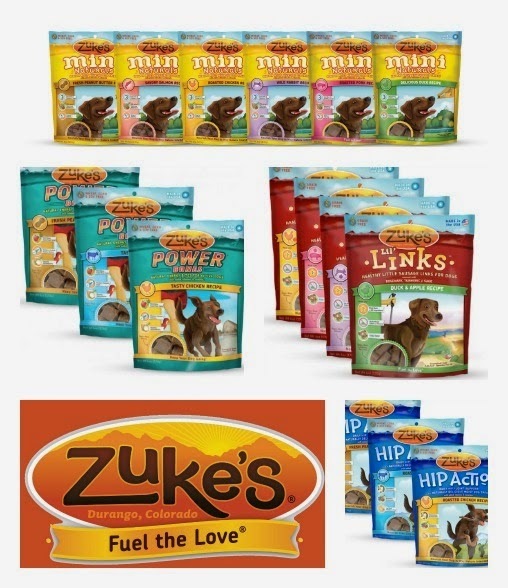 Ten lucky dog lovers also won these yummy prize packs from Zuke's! Pre-party winners: Each wins a $70 prize pack filled with Zuke's dog treats in a variety of flavors. Winners will receive nine packages of yummy treats including Power Bones, Mini Naturals, Lil’ Links and Hip Action. Grand Prize Winner: One lucky winner takes home a $120 prize pack filled with 16 bags of natural, USA-Made Zuke's dog treats! The prize pack includes Power Bones in Fresh Peanut Butter, Tasty Chicken, Tasty Beef; Mini Naturals in Wild Rabbit, Pork, Duck, Salmon, Peanut Butter, Chicken; Lil' Links in Duck and Apple, Chicken and Apple, Pork and Apple, Rabbit and Apple; and Hip Action in Fresh Peanut Butter, Roasted Chicken, Roasted Beef! The Grand Prize winner is @SawyertheLab! You lucky dog! You can still help Zuke's support The Dog and Cat Cancer Fund with just one photo! Simply share a photo of your dog loving life and tag it with #FueltheLove and @ZukesPets from now through July 31, 2014. For every photo posted Zuke's will donate $5 to the Dog and Cat Cancer Fund. Check out Zuke's #FueltheLove to Fuel the Cure on Facebook and Flickr for more photos and inspiration! Thanks to Zuke's and to everyone who participated in the fun event last night to celebrate healthy, active pups loving life AND support a cause that's near and dear to our hearts. For more tips on helping your pets live a healthy, active lifestyle, check out these great posts on the Zuke's blog! 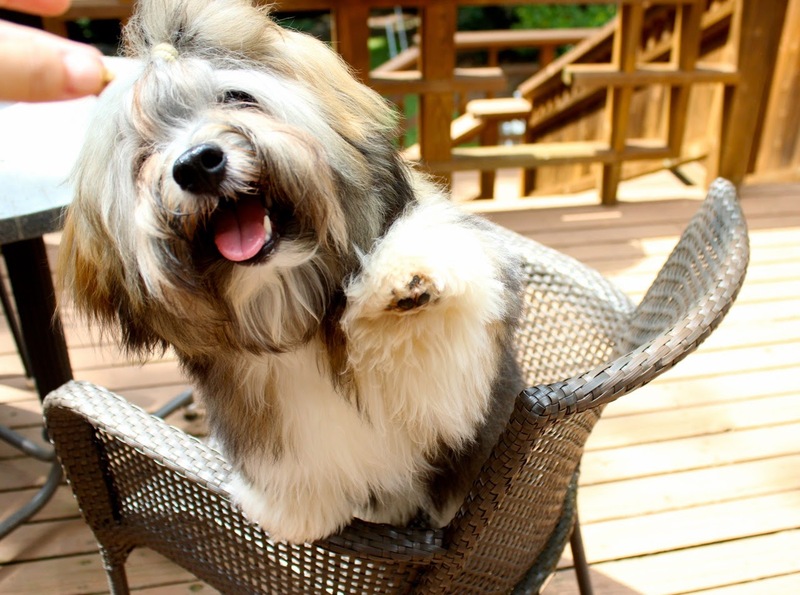 Rocco Havanese says, "High Paw to all for staying healthy and active with your pups!" We are working with Zuke’s through our partnership in Event Barkers to produce this Twitter party and share product news with our readers. Prizes will be provided and shipped by Zuke’s. At To Dog With Love, we only share information we believe in. All opinions expressed herein are our own. Sounds like it was a big success. Congrats to the lucky winners!